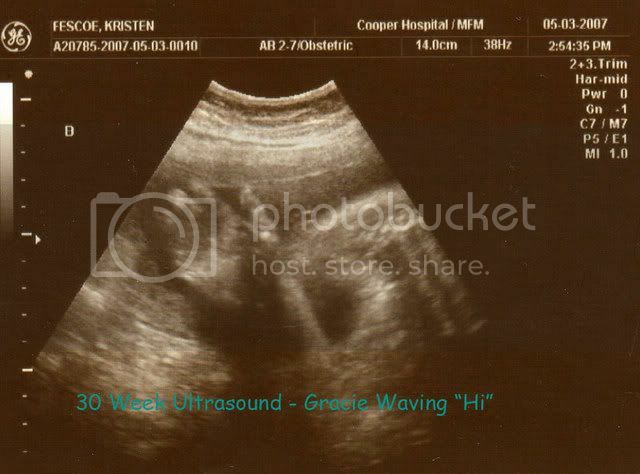 I went for my growth check ultrasound today at the hospital. Thankfully all went very well. The doc thought I was controlling my diabetes quite well. They upped my insulin yesterday (cause my fasting sugars have been too high) and that did the trick b/c today they are much better. I have had morning sugars of around 105 and today it was down to 90. My BP is holding steady (although I am having a lot more swelling. The great news is that Abby's ventricle is now down to 9.9mm and is in the normal range. Her cerebellum looked right on target. Gracie still has one kidney, so surprise there. 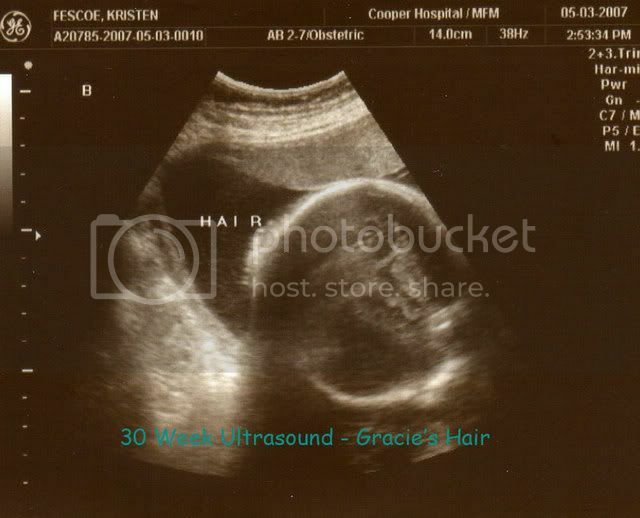 Both girls had great movement and we got to see another shot of Gracie's beautiful hair, they even gave us a picture of it. 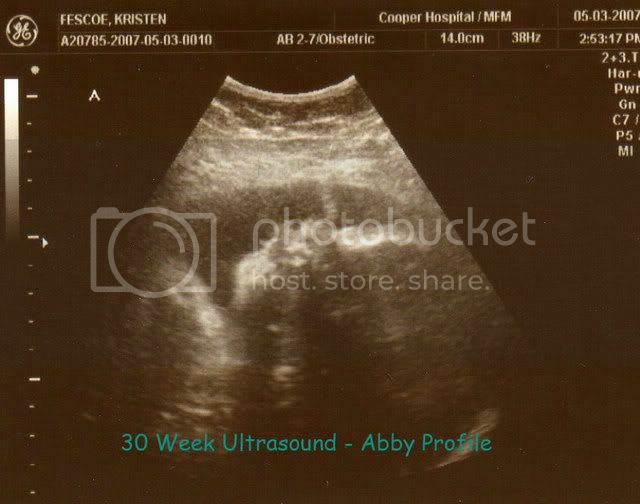 Abby is measuring 2lb 14 oz (15th percentile) and Gracie is 3lb 1 oz (18th percentile). They told us they were on the small side but since I am carrying two and I am not very big it is not a concern at this point. I was so afraid that they would be getting too big, so thank goodness for that. Their heartrates looked good and all other measurements were fine. The doc commended me on what a good job I am doing which made me feel great. I have been worrying that the diabetes would make them huge and I would have to deliver early... guess not. Phew! Cute, cute, cute! Looks like Gracie is gonna have hair like Katie does. Glad that the insulin is working and everything else looks so good. 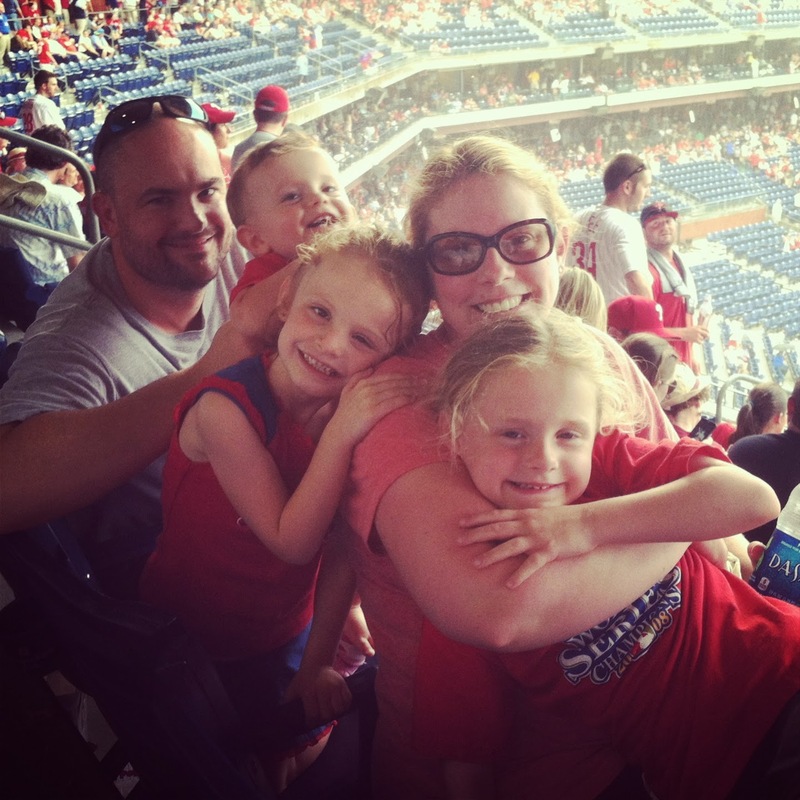 Wonderful news on Abby's ventricle measurement. I'm sure that continues to be a huge relief for you and Bry. Can't wait to see "real" pics of those beautiful little girls! !